Jessika was born March 24, 1992. She was premature by 6 weeks and weighed 6 pounds, 13 ounces. She was a beautiful baby with silver hair that stood straight up. Jessika had a failure to thrive, we manipulated her jaw to get the baby formula into her body. When Jessika was 2 months old we got a referral to a UCPA Center. They told us that Jessika was hypotonic and dysmorphic. That meant that she had poor muscle tone and a failure to thrive. The speech therapist immediately started us on feeding therapy to help teach her to eat. Within a month we were in a group therapy program for physical therapy. Early intervention was a life saver for us. When Jessika was 2,we started going to the Robert Warner Rehab. Center affiliated with the Children’s Hospital of Buffalo. At this point in her life she was eating everything in sight. I thought it was great because she wouldn’t eat for so long. I actually bragged that my little girl could eat more than most adults! 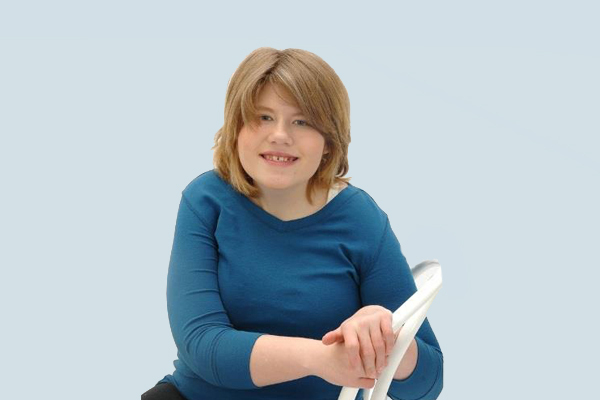 In the month of September, 1996, Jessika was diagnosed with having Prader-Willi Syndrome. I was no longer bragging about her eating habits. My once tiny girl now weighed 65 pounds. We stopped giving her anything with high calories or fat. We thank all the people at PWSA (USA) for their help through the years. Without them, I don’t know how Jessika would have thrived to be 22 years old! She is no longer obese!